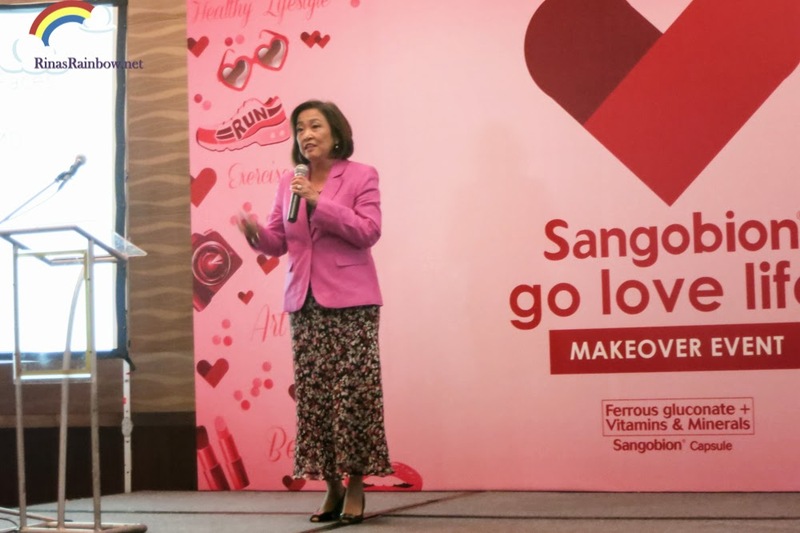 Rina's Rainbow: Sangobion Encourages Women to Go Love Life! From what I gathered from Sangobion Mom Joyce Mendez, Sangobion helps her by giving her energy for work and still have energy for her family when she get home. 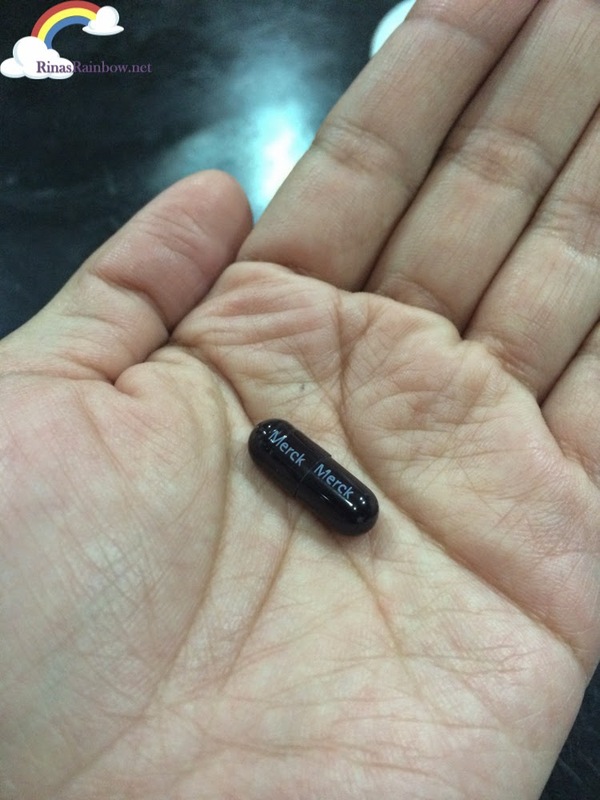 Kelly Misa on the other hand, shares that Sangobion that natural energy feeling. Not the bad kind of high if you know what I mean. I learned that Sangobion can help protect us from common sickness. This is an important thing as we all know how hard it is to be a sick mom. It's really the worst! When I was single I used to secretly love being sick to get that special treatment hahaha! Now, as a mom, it's a totally different story. I have experienced taking care of my toddler while being sick and it is so exhausting, not to mention the risk of passing on your virus to your baby. With all of these factors put together, the tendency for us moms is that we forget that we need to take care of ourselves too. 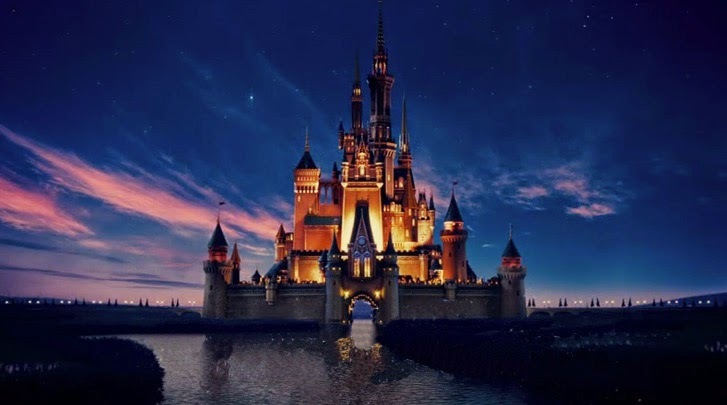 We tend to put our needs last, and put our family's needs first. Ever since I became a mom, I always tied my hair into a bun. Not even a pony tail. A BUN! Because I have really bad hair and I always wanted to hide it. I didn't have 7 hours to spare to have my hair rebonded like I always did when I was single. It took me a long time to buy make up or even shop for nice clothes. So for quite some time, I looked... well... 'losyang' as they say in the Philippines. This means old. 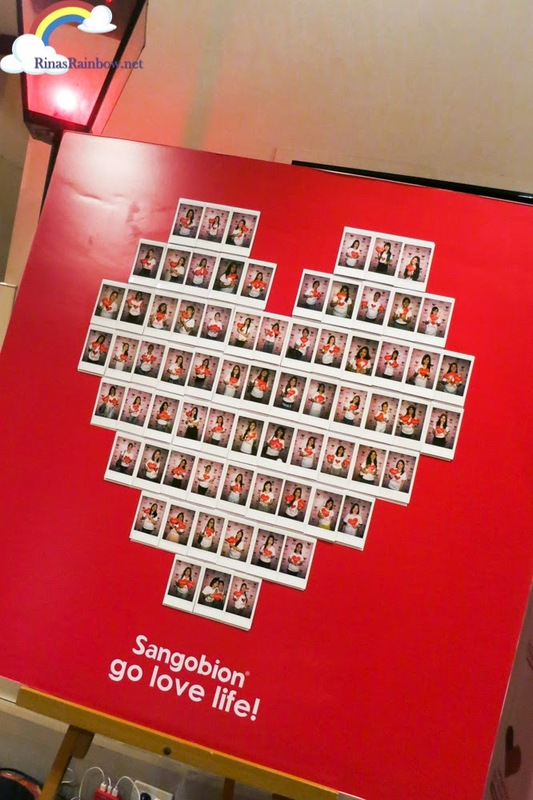 Because of this, Sangobion launched their new campaign called 'Go Love Life!' last May 2014. 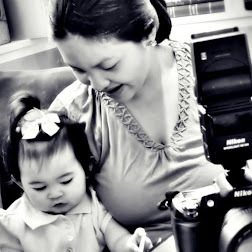 With this new campaign, Sangobion aims to remind us moms that we should not forget ourselves too. That us women should take care of our health as well, have a good work-life balance, and go back to looking great! This way we can continue loving ourselves and enjoy life. Sangobion is an iron booster with vitamins and minerals that helps fight stress, gives energy, and so over all making us feel better. And of course, when we feel better, we operate better. And when we operate and feel better, the only next thing that is sure to happen is that we pass along that positive vibe to everyone around us. As they say, happy wife, happy life (or something like that). It's simple, really. It's because iron helps fight anemia. 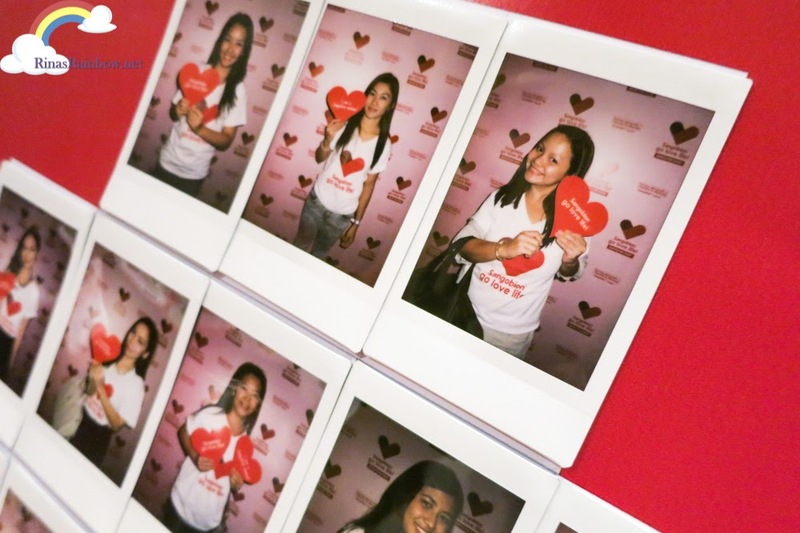 Anemia is more common to us women because of our monthly period (ugh! ), because of pregnancy, because of child birth, and because of lactation. (Really, guys. It's not easy.) And in very bad cases, anemia can lead to heart failure. Athletic / into sports - they have great demand for iron. Because when muscles get used up, they demand iron. So does lots of exercise. Genetic - anemia may be hereditary. Because Sangobion has Ferrous Gluconate. This is an organic iron. This organic iron is easily absorbed by the body to fight all the signs of anemia mentioned above. And the best reason why I like Sangobion is the capsule's chocolatey scent! So it doesn't have any bitter after-taste. Sangobion does not only contain iron but it also gas vitamin C, folic acid, vitamin B12, copper, and manganese which helps build healthy red blood cells and immune system. 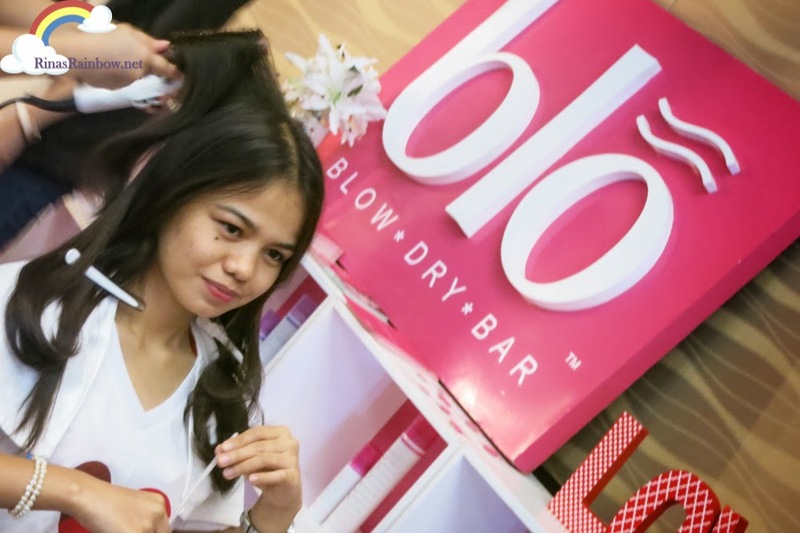 ....and Blo Dry Bar for their hair do. And Patrick Alcober, from Shu Uemura, gave some quick tips on skin care and make up. It was a very informative event. Bottom line, Sangobion reminds us to take a break from our hectic lives and enjoy life. 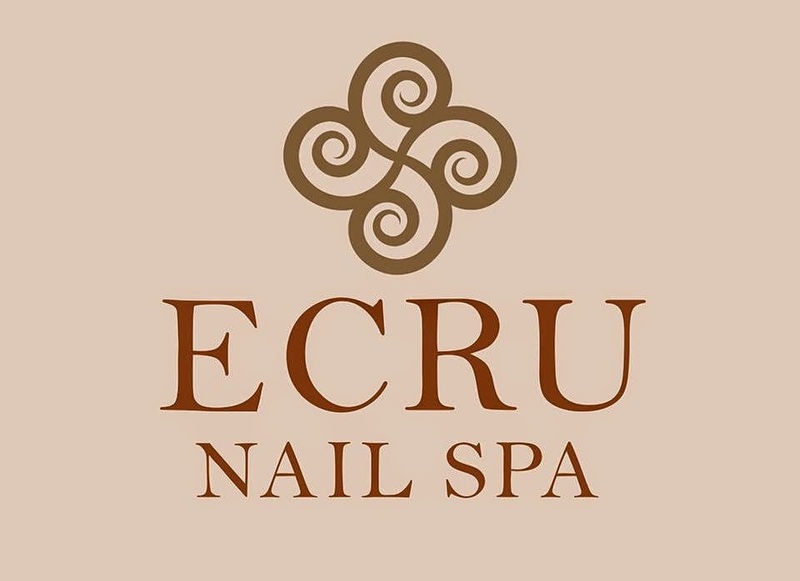 Take time to clean up, look good, spend some time with friends and family, and most importantly, take the time to be healthy! PS: Sangobion is cooking up a new promo for you guys where you can win an amazing SHOPPING SPREE!!!!! 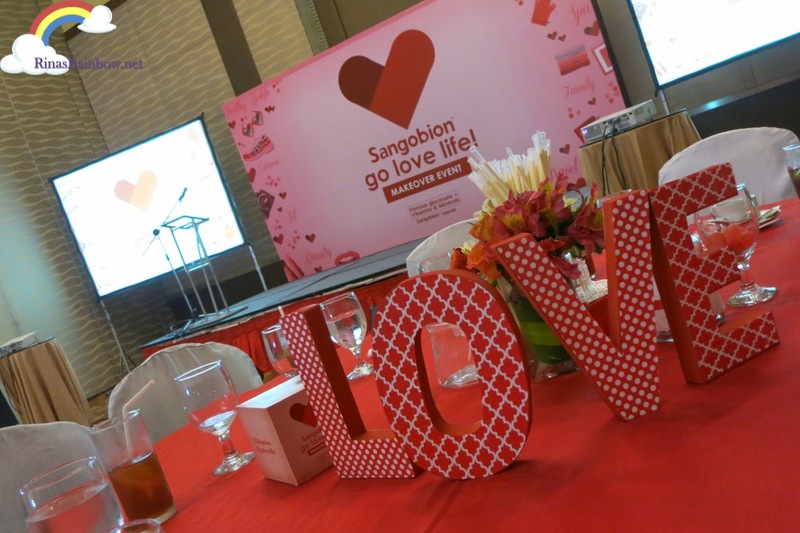 Just follow Sangobion Go Love Life on Facebook for more information! Hello Ma'am Rina! 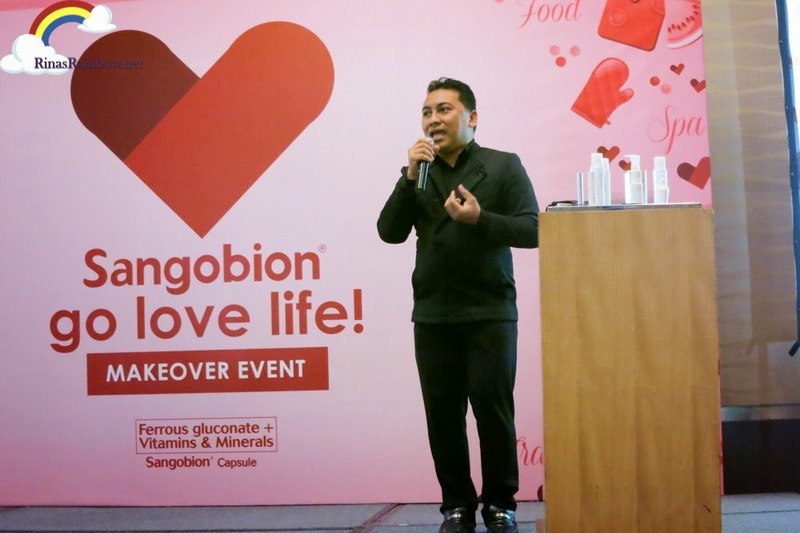 �� it felt so good hearing about how Sangobion worked for you. But I still worry about the side effects I have read from my recent researches, do you experience any? I'll be waiting for your response, and I hope you continue enjoying your life �� God bless you!